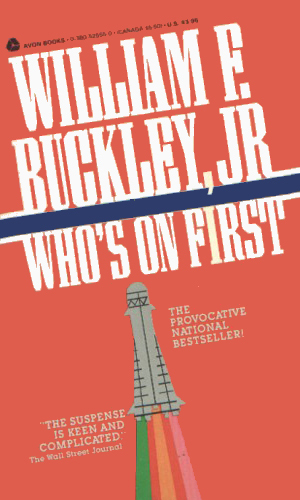 Creator: William F. Buckley, Jr.
Blackford Oakes is an agent with the CIA. He was the son of a highly successful aircraft salesman and a high society lady and, therefore, enjoyed quite a good childhood, although he did not see as much of his father as desired due to frequent and extended business trips. Undoubtedly this contributed largely to the divorce his parents had when he was just entering his teens. When his mother remarried a knighted member of British aristocracy, Blacky was forced to move to England with her and to attend a prominent prep school called Greyburn. A prankish incident involving graffiti on a blackboard resulted in an extreme whipping by the headmaster, prompting Oakes to leave school. It also left a severe mark on the young man's attitude towards the upper crust of Britain, something that would have significant ramifications in his early missions. Blackford Oakes is written as an incredibly handsome, virile man who is equally at home in the dining hall of Windsor Castle and in a back bedroom of a French burlesque house. In that regards he might sound like a twin to James Bond but in action and in thought he is worlds apart. While Bond is certainly an act-first kind of man, Oakes is far more cerebral and sedate. During WWII, Oakes served in the Army Air Force flying fighters and shooting down enough to earn the designation of Ace. After the war, he attended Yale where he studied physics, among other subjects. It was near the end of his schooling that he was approached with the idea of joining the CIA which he did almost as a lark. Blackford Oakes is recruited by the CIA and is sent to England to work his way into upper society to gleam whatever is available. Soon he becomes involved in finding who is leaking vital secrets about the hydrogen bomb to the Soviets. 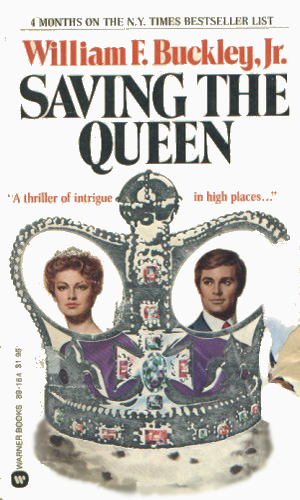 As he gets close to the Queen of England, he learns that the leak is connected to her. A rising leader in a new German movement, angered over the division of the two Germanys and still furious about the Berlin blockade, is worrying the Western powers. Blackford Oakes is dispatched to Bonn to get close to the man to find out if he is another Fuhrer-in-waiting or an agent for the Communists. The year is 1954 and Blackford Oakes is in Germany when it becomes clear that the Soviets have a mole somewhere in the upper echelons of MI6. Using the inroads he had already made in British society, Oakes is ordered to again renew his acquaintances to root out the spy. Sent to Paris in 1956 to engineer the kidnapping of a major Russian space scientist as the Soviet Union works feverously to put a satellite into orbit, Blackford Oakes is put at odds with agents from the KGB as well as Hungarian freedom fighters as he tracks down the intended victim, taking him to the frozen wastes of Siberia. Blackford Oakes is 'allowed' to resign from the CIA for not following orders in the previous mission. Three years pass. When comments made during a classified meetings of the National Security Council are repeated by Khrushchev during a summit meeting, Oakes is called back to help in a scheme that will mean getting shot down in a U2 over Moscow. The time is early in 1961 and the location is Berlin. All indications are that the Soviets are up to something big but the facts are sketchy at best. The CIA is instructed to find out what the plot is and that means that Blackford Oakes must head to Germany. 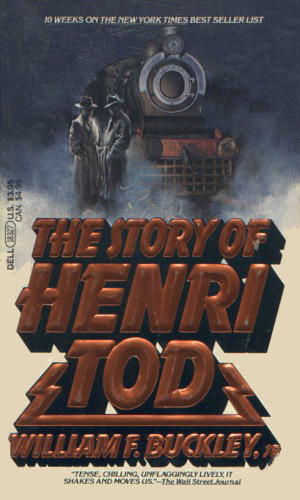 His contact, Henri Tod, is missing and Oakes must find him. The Alligator refers to an Operation ordered by President Kennedy in 1961 to ease the tensions with Cuba through a rapprochement. The terms were to be presented to Castro through his colleague Che Guevara by Oakes. 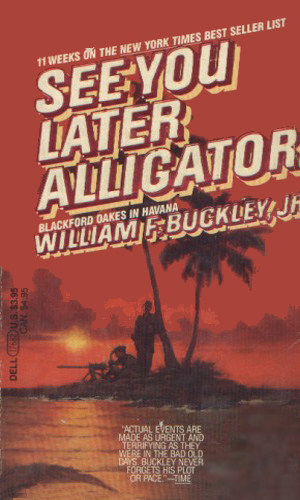 A Soviet double-cross interferes, leaving Blackford Oakes trapped alone in Havana. Angered at the trouble that Cuba continues to cause the Administration, the CIA tries a major effort to remove Castro by assassination in 1963. 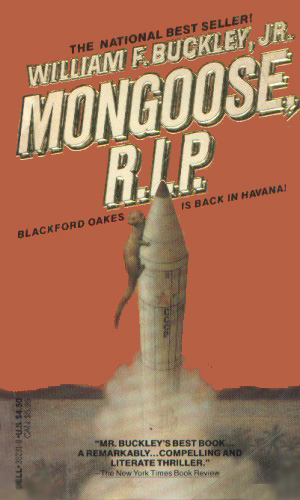 The agent chosen for the job due to his familiarity with the region is Blackford Oakes but Oakes soon learns that Castro has a plot of his own with millions of lives at stake. The date is 1964. LBJ and Goldwater are running neck and neck towards the next election. 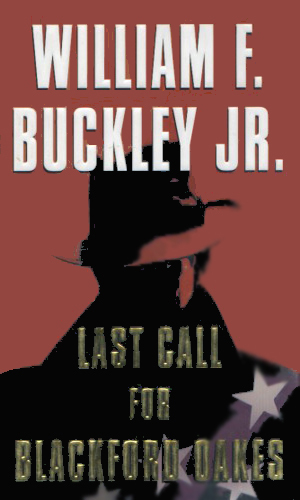 Blackford Oakes is dispatched to the new hot zone of Vietnam to work closely with an American major named Tucker. Oakes soon learns that Tucker's objectives and his allegiances seem quite different from the government's. 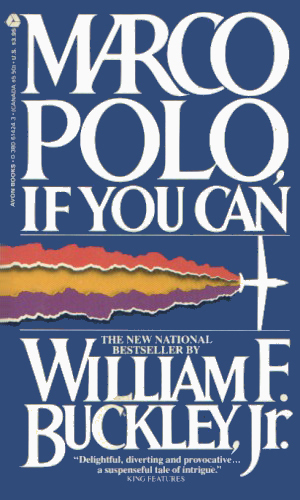 Two stories in one, this book discusses the attempt in 1995 by a young Senator to break open the truth of illicit activity by the CIA. To do so he needs to get retired agent Blackford Oakes to reveal one of Oakes's last missions. This recollection comprises the second story and tells how the Reagan administration handled the news in 1985 of an assassination plot against Premier Gorbachev. 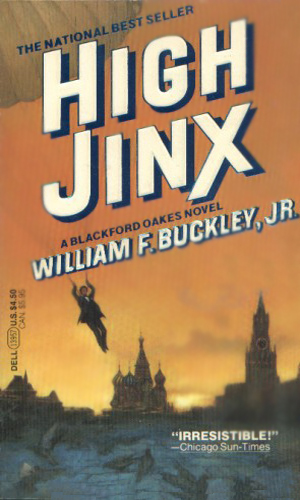 Retired but still working for the CIA in an outside capacity, Blackford Oakes journeys to the ailing Soviet Union to help put down an assassination plot against Gorbachev. There he goes up against an old adversary, the British traitor Kim Philby. 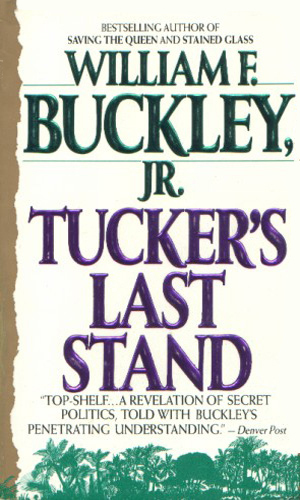 It is amazing to me that when I read dissertations on the leaders of the spy genre, names like LeCarre and Deighton and Ambler and Greene routinely appear, which is right, but Mr. Buckley is seldom mentioned, which is wrong. 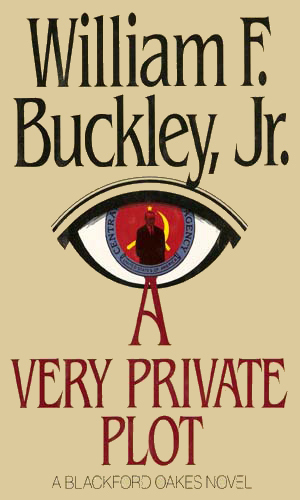 The insight that is given into the training and the machinations of spycraft depicted in Mr. Buckley's books are terrific and the writing is absolutely first-rate as one would expect. I have some thoughts as to why he is not given the critical acclaim he is due but I will keep them to myself. 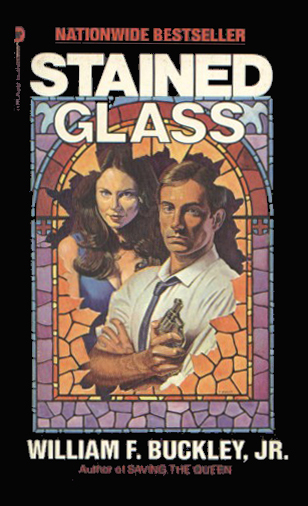 I will not keep quiet, however, about the fact that Blackford Oakes is a great character and the books are well worth reading. Cold War history brought to life with Blackford Oakes. Aside from the humor, the insight, the intimate looks at the great and powerful and the damnably attractive Oakes, the books spycraft is excellent since Buckley himself served as an agent in Mexico City. Like Fleming with Bond, Oakes is a fantasy extension of Buckley himself. The books also have a wry humor with the ending of Who's on First? so good I wish it was true. These are very good. Well written (of course) and very good spy stories. A shame that they seem to have been forgotten. Highly recommended.